Amazing fun to be had with the Mega Castle Combo 4 in 1 unit. 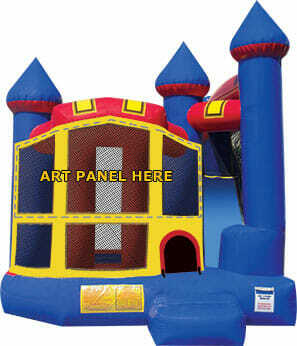 It includes a large bounce area, a basketball hoop, pop ups, stairs, and a slide! The Mega Castle Combo – 4 in 1 bounce house rental is great for any occasion. It’s a perfect fit for all ages, and events. You can’t go wrong renting this classic theme! If you have any questions about renting from Amazing Bouncers Ohio, please check out our FAQs page. To reserve a bounce house rental online use the calendar below! Our availability for this unit is what you see! Is your date not available for this unit? Try one of our many other bounce house rentals! 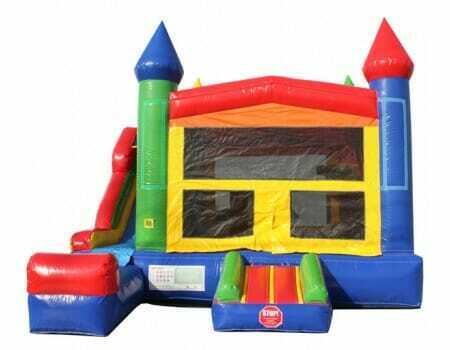 Check out the other bounce house rentals we provide!